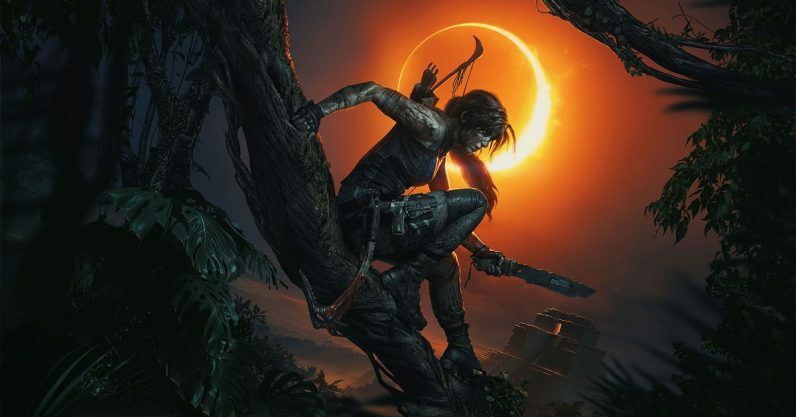 Square Enix today released Shadow of the Tomb Raider, the latest entry in the venerable action-adventure game series. We return to Lara Croft’s mission to save the world, in which she must confront her own tragic past and avert the Mayan apocalypse. I’ve been playing it off and on for the last couple of days, and I’ve spotted something I think needs addressing — a major problem in the characterization of gaming’s most iconic heroine that really brings the whole trilogy down. Now, full disclosure here: I haven’t actually finished Shadow yet. I bought the early access edition, so I have several hours under my belt, but I’m playing it on my own time and there are just so many hours in the day. I’m liking it so far. Lara’s design is quite lovely, and the focus on Mayan history is a welcome shift in cultural flavor from the previous two entries in the reboot series. I could go on at length about the addition of stealth mechanics, the expansion of side quests, the triteness of the main story thrust, but I still feel I’m too new to the game to be truly informed or informative on any of those. That said, there is one thing that stood out to me almost instantly, a deficiency that existed in both the previous games and which is only exacerbated by Shadow‘s straining attempts to eke some emotional depth out of the whole scenario: Lara Croft needs more friends. Its fairly obvious to anyone with even a passing familiarity with both games that Lara’s biggest role model this time is Nathan Drake. While the reboot series has always taken more than a few cues from Uncharted, it’s even more apparent here the first time Lara explains historical facts to a rapt audience while trying to puzzle out an ancient riddle — a Drake staple so ingrained Nathan Fillion included a variant of it in his Uncharted fan film. But what’s the one thing that set Uncharted apart from any other pedestrian adventure game? I’d argue that it was Nate’s genuine connections with the people around him. Elena, Sully, Chloe, Cutter, Sam, Tenzin… these aren’t incidental figures in Nate’s story. They’re fully realized, independent characters whom Nate sincerely likes and respects and who lend his otherwise indecently smug persona that affable streak we all know him best for. Heck, let’s go further back. Lara and Nate share a mutual ancestor, Dr. Henry “Indiana” Jones Jr. How many times did Indy go on adventures by himself? Never. He always had interesting companions in the form of Marcus, Sallah, Marion, Henry Jones Sr, Short Round, and (if we’re being generous), his son Mutt. The noble archaeologist hero had ample foils to keep his character from being too one-note or self-involved. The only person to whom Lara’s in any way bonded in both this game and the previous one is Jonah, elevated abruptly from his status as one of a handful of tertiary characters who survived the first game. The problem is that in both Rise and Shadow, Jonah’s having to pull quadruple duty as supportive friend, voice of reason, mission control, and AI partner. I appreciate him being here, but the poor man can only do so much. This is especially surprising because clearly the devs tried very hard to avert this in Tomb Raider 2013. They included a relatively large cast of allies for Lara, presumably in an attempt to give her what Nathan Drake already had at that point. None of the characters were particularly memorable: Gal pal Sam was in a constant state of being kidnapped, and beleaguered suitor Alex was friendzoned so hard it wasn’t even funny. Beyond that, the rest of the non-villainous cast either didn’t like Lara or weren’t fleshed out enough for us to tell either way. The only person with whom she seemed to share any chemistry was her father figure, Roth. And (spoilers) he pulls an Obi-Wan right out of the story in the second act. Still, at least most of them were actual characters. The cast of that game was so tiny that, when Lara’s confronted with the possibility that her father was betrayed and murdered by Trinity, most gamers would probably have cottoned onto the fact that the mole was (again, spoilers) Lara’s otherwise charming stepmother — if only because she was literally the only other named character we’d seen at that point. Yes, the Lara of the older games in the series was usually a solitary creature, but that’s mostly because the original Tomb Raider games were focused on the puzzles and didn’t dwell overmuch on story or characters. And yes, I get that part of Lara’s characterization this time around is a tendency to self-isolate and great regard for her own opinion. But that doesn’t mean we have to reduce the cast of this game to two or three people in order to make that point. This is supposed to be the final game in Lara’s rebooted series, and it’s thus far looking like a lukewarm swan song. Without anyone to whom she can express herself, Lara just feels shallow and underdeveloped, and at worst this lack of a support structure makes her come across as unlikable and even stupid. Come on, guys: The First Lady of video games deserves better than that.